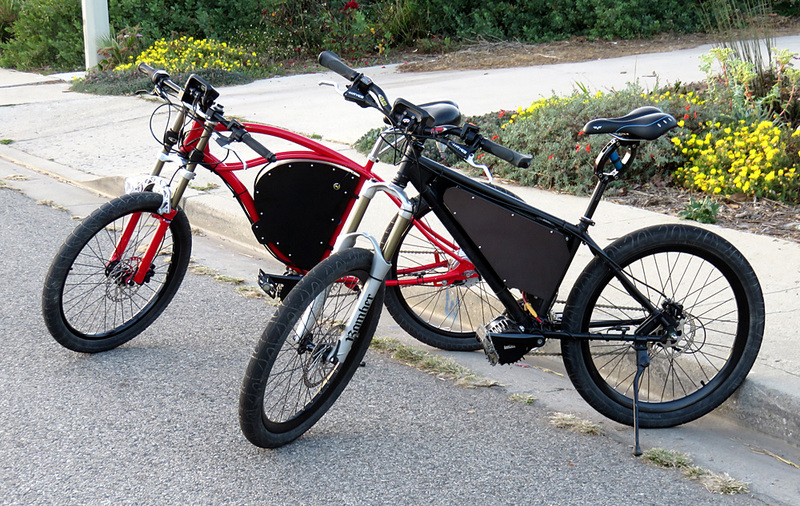 The future of personal transportation is here and now, and it’s the electric bicycle. 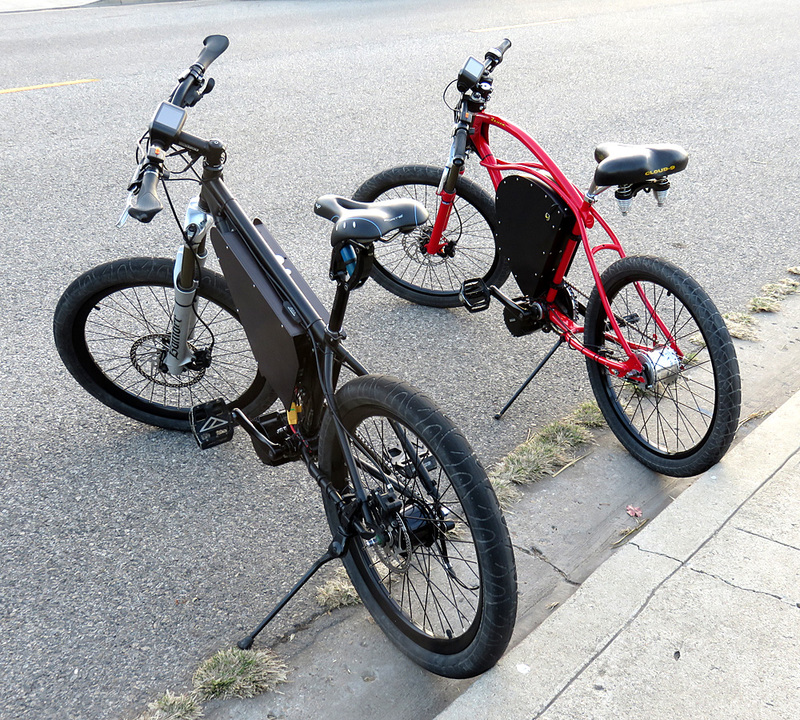 No more apologizing – your electric bike is a powerful, fun, friendly, and unique form of 21st-century transportation. 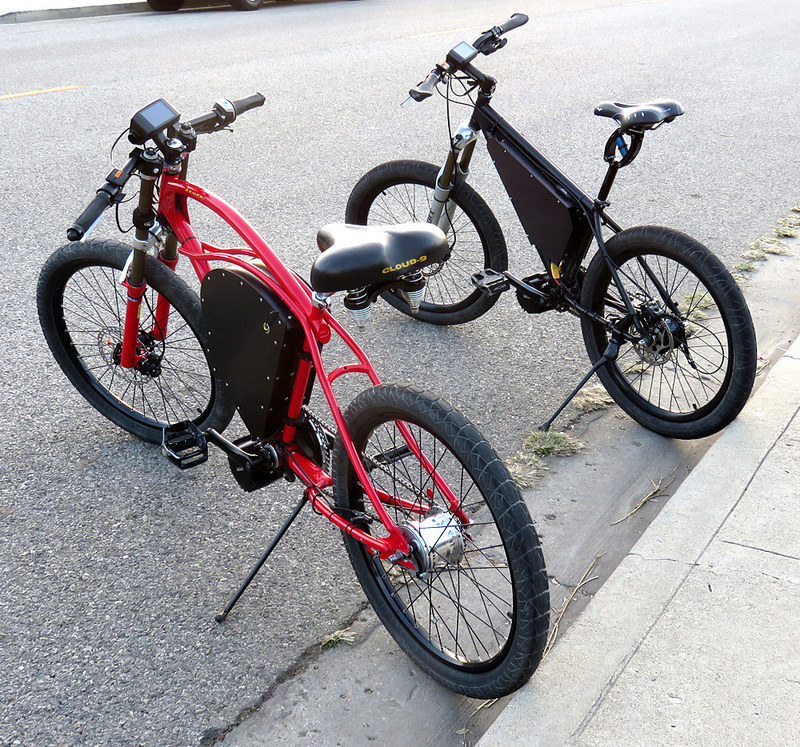 And Mid-drive motorized electric bicycles are at the cutting edge of powered bikes today. 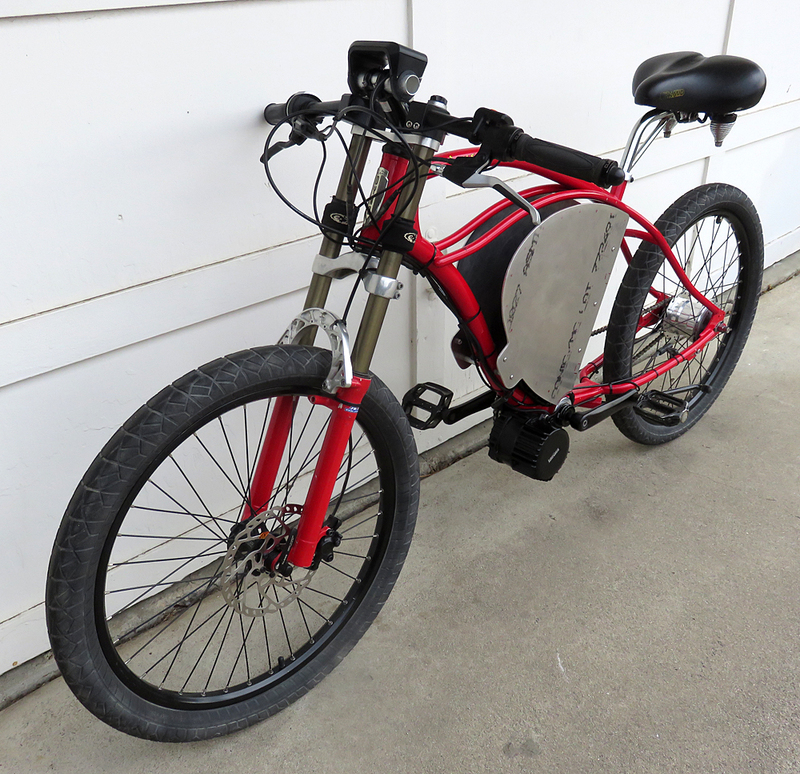 I ride every day because of my electric bike. 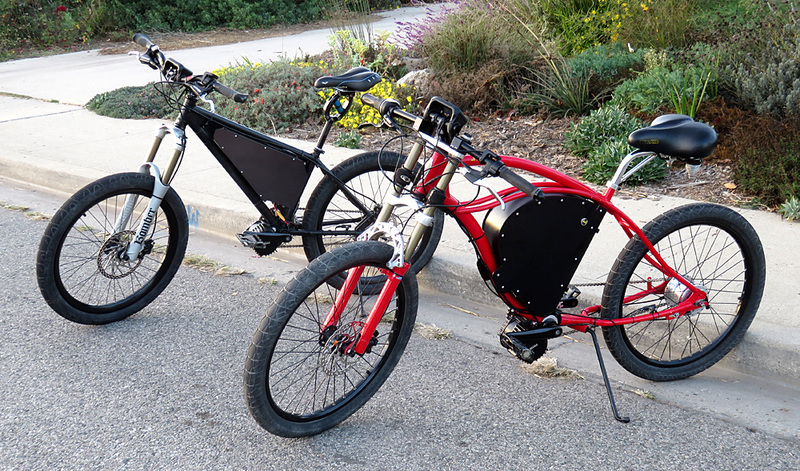 It’s a fun and sustainable way to travel my daily rounds. Making pleasure out of what was once a chore. 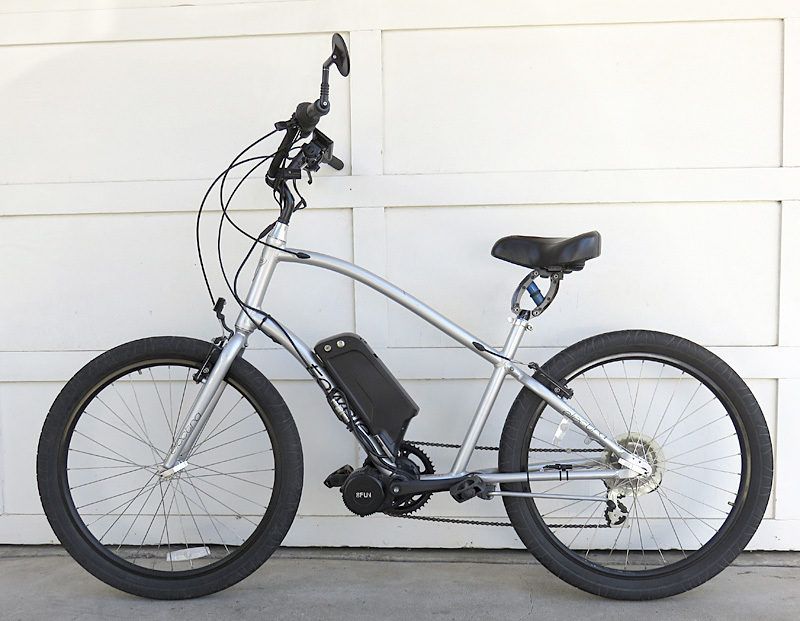 Oxnard Electric Bicycles can put you on a fabulous electric bicycle. 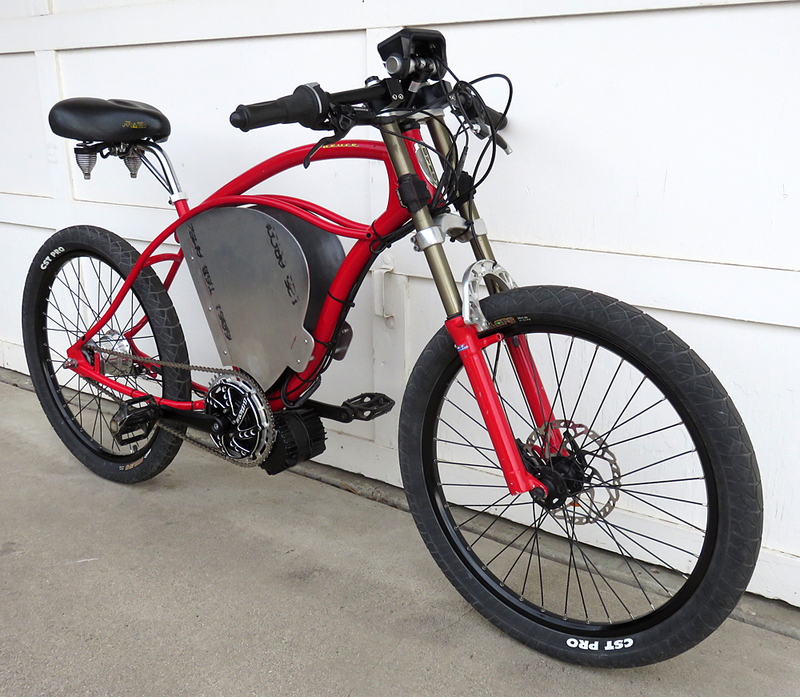 We can put a BBSHD electric motor kit and 48v or 52v lithium battery on your existing bike or perhaps you are interested in something new. 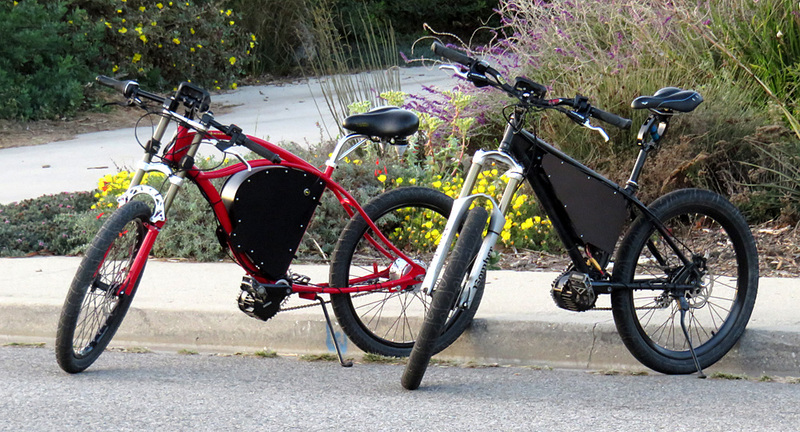 Our universal mid-drive electric bicycle kits make for a great car replacement. 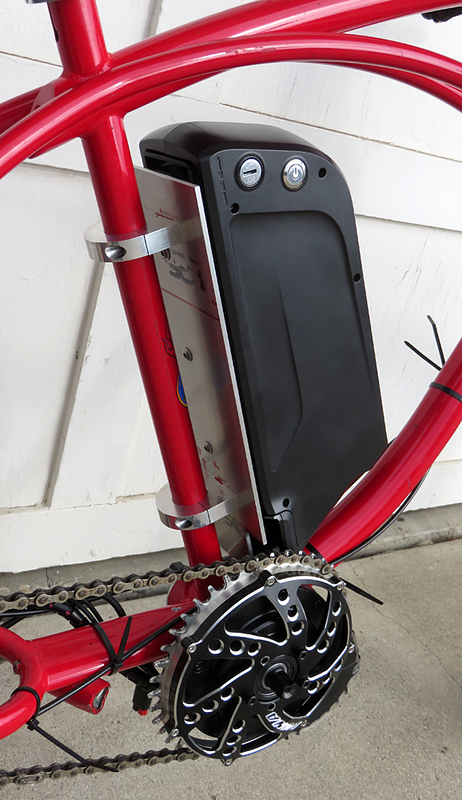 Chores after work – no problem. 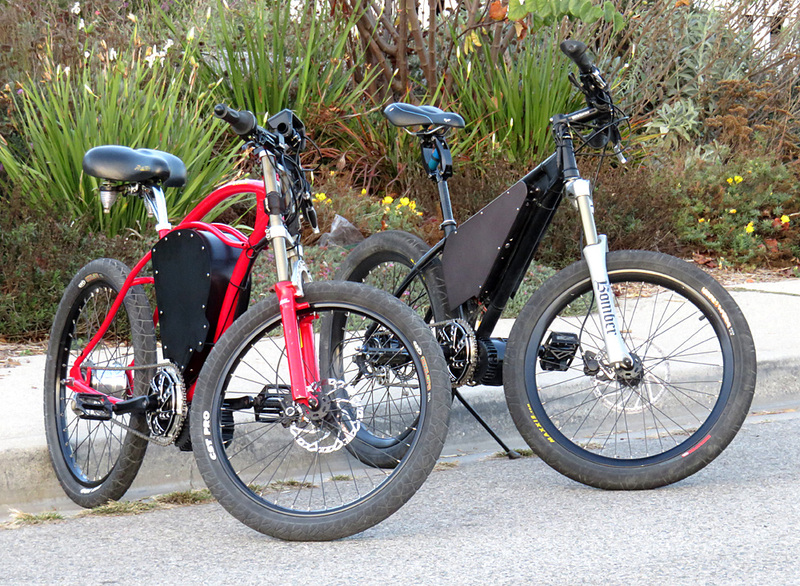 Kids to school in the morning – easy. 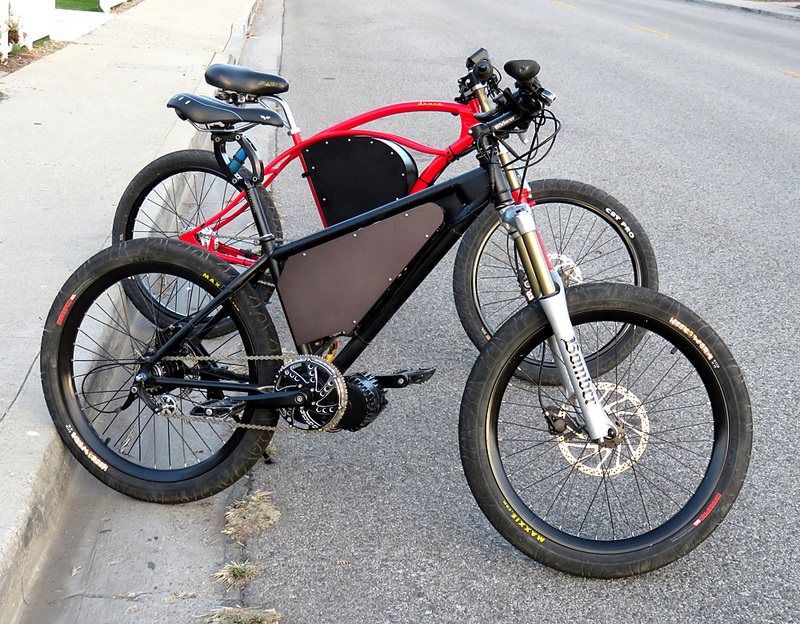 Our universal mid-drive BBS02 and BBSHD electric bike kits make your bike, any bicycle, into a great electric commuting system. 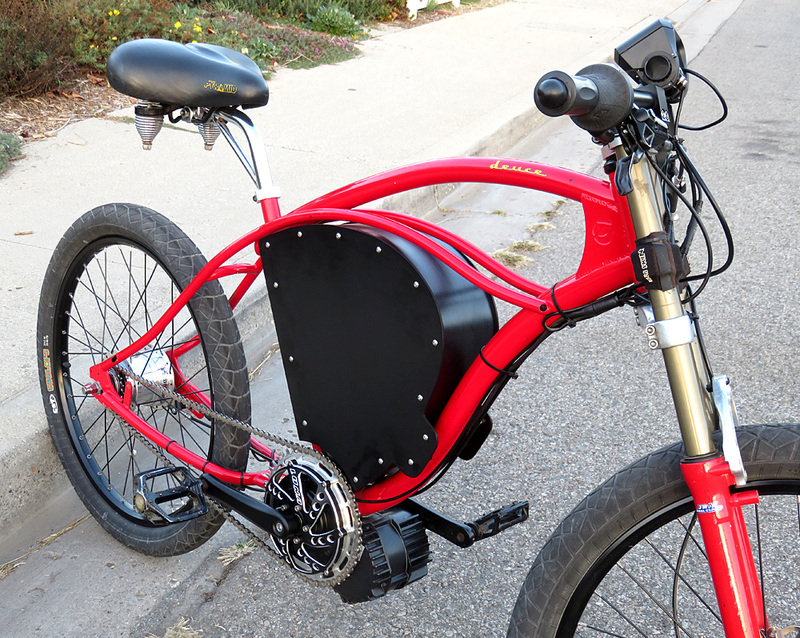 Ventura Electric Bicycles offers a quiet and powerful 750W universal mid-drive electric motor conversion kit that will fit 90% of all bikes, cargo bikes and trikes out there. 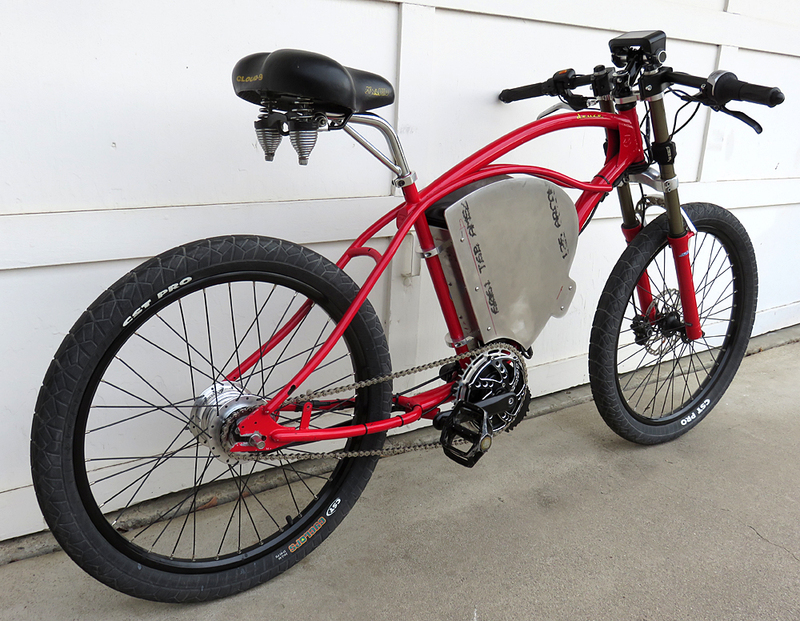 Because our electric motor conversion kits are centered on the bicycle (mid-drive), performance and handling are superb. 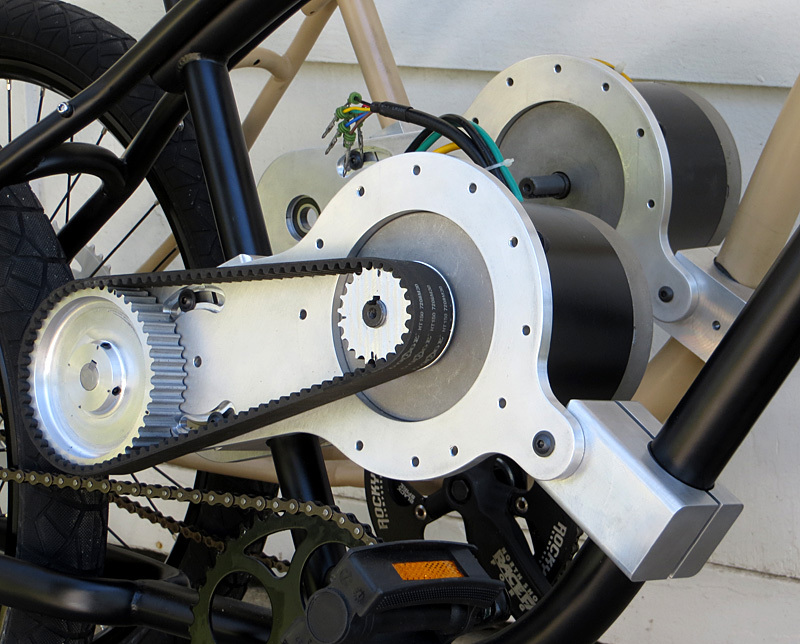 Our mid-drive conversion kits are so small and light one hardly notices it’s there at all. 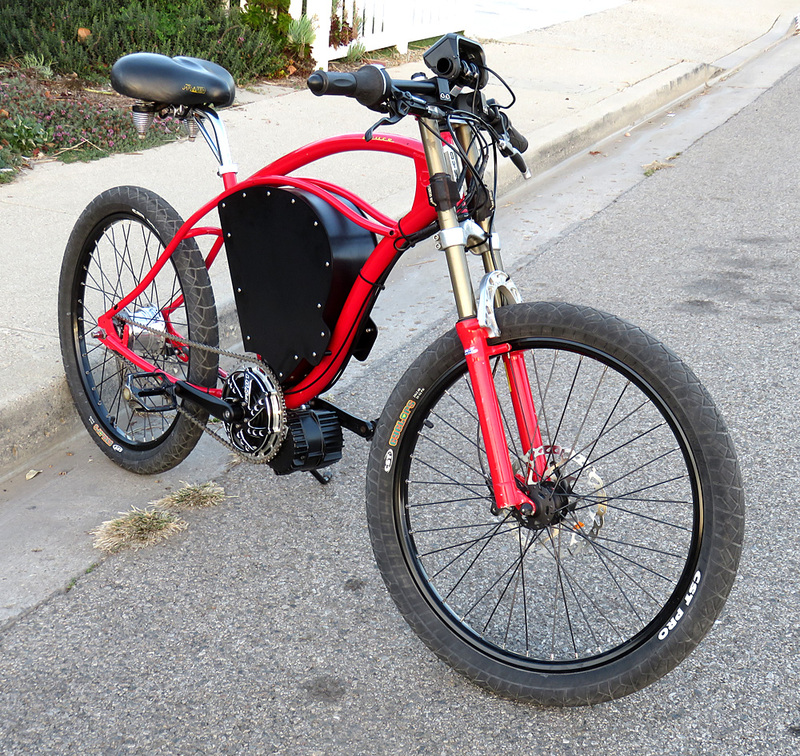 But looks deceive, just pedal and GO! 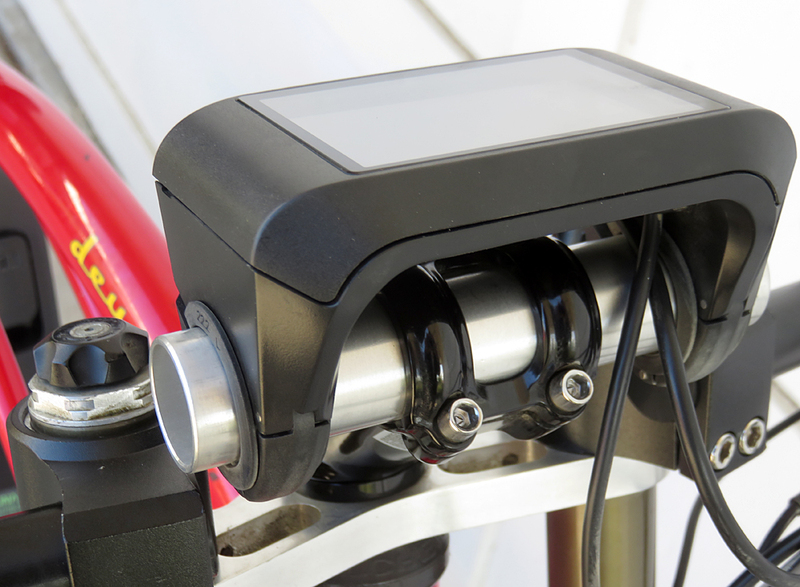 Our kits have both a pedal assist (PAS) system and a throttle system, to override when extra power is needed. 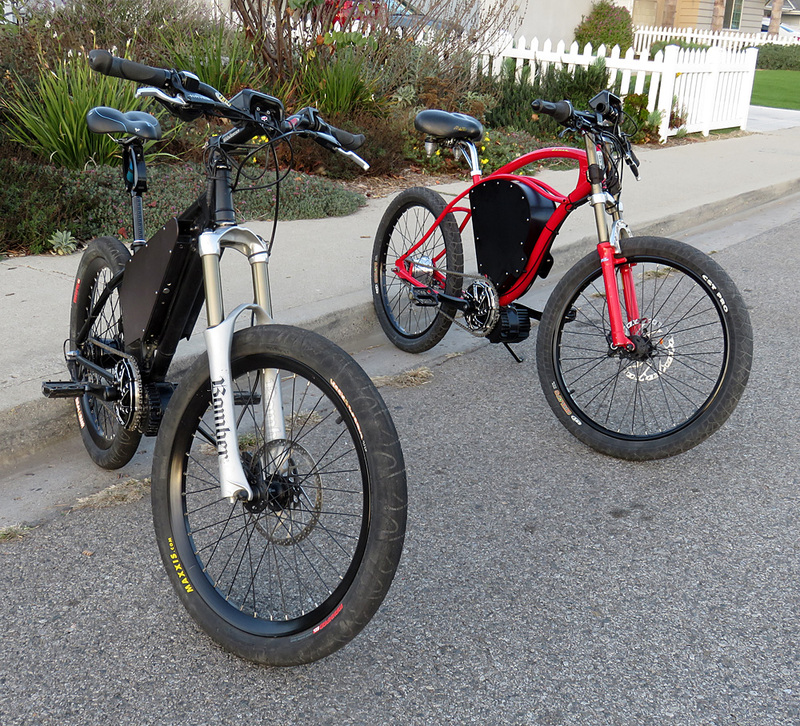 An eBike will extend your range and hill climbing abilities. 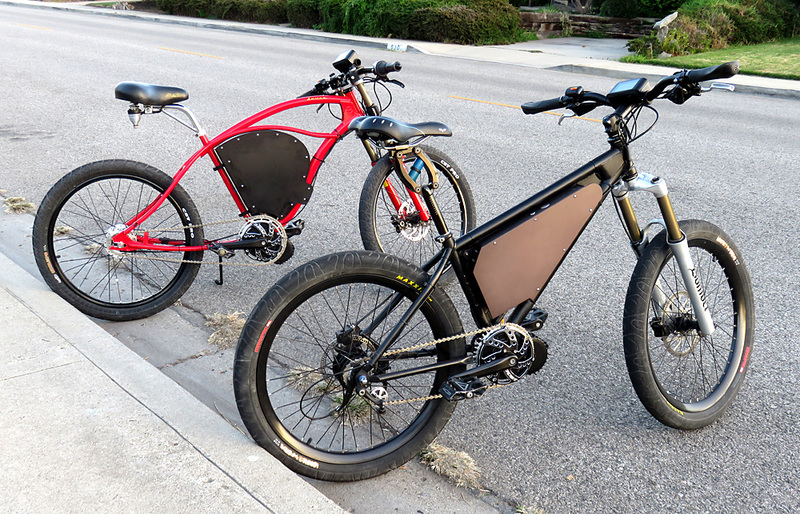 On a recent outing, we blasted up Skyline Road in Ventura with only moderate pedaling. 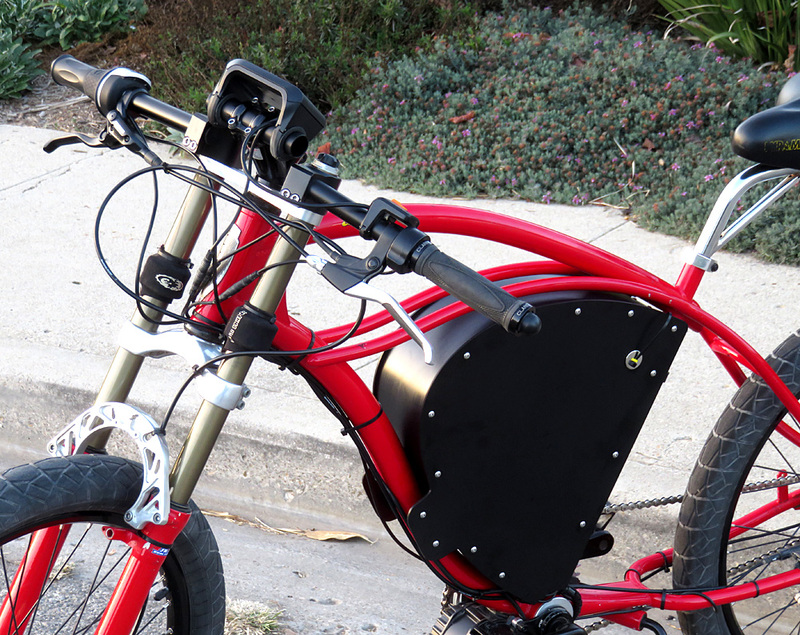 Our new conversion kits really are the cat’s meow and are completely legal in California. 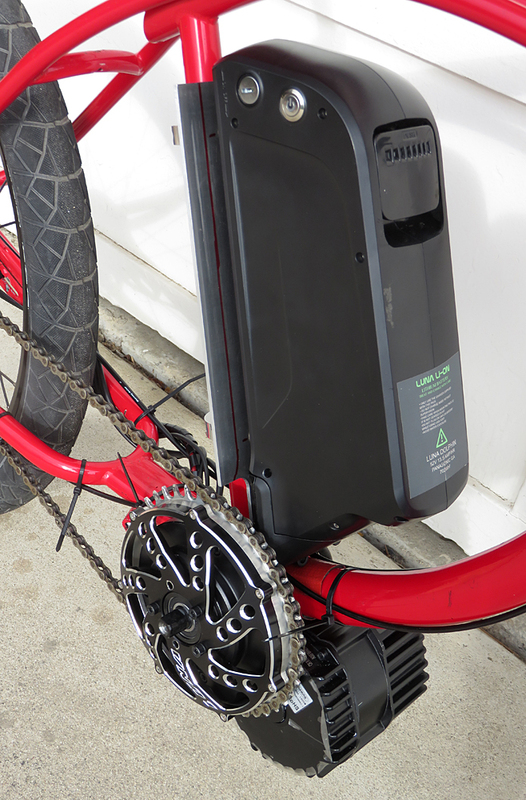 Our 48/52v state-of-the-art Lithium battery packs are quality, powerful and long lasting units that will give you years of rugged service. 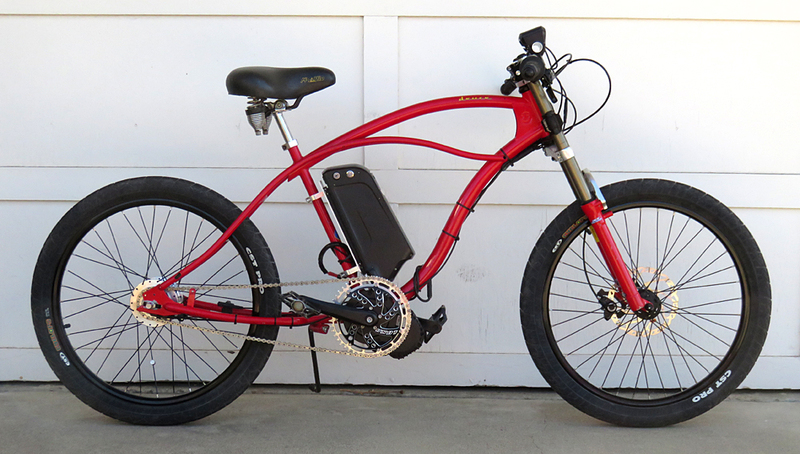 We build and sell custom designed and built off-road electric bicycles. 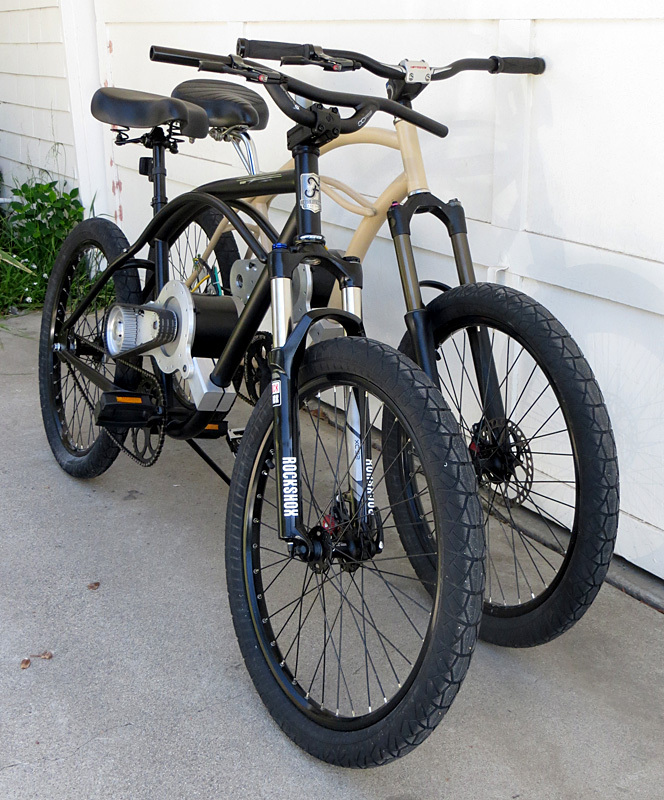 Our current stock is the Dyno Deuce and the eCortina v4 electric bikes. 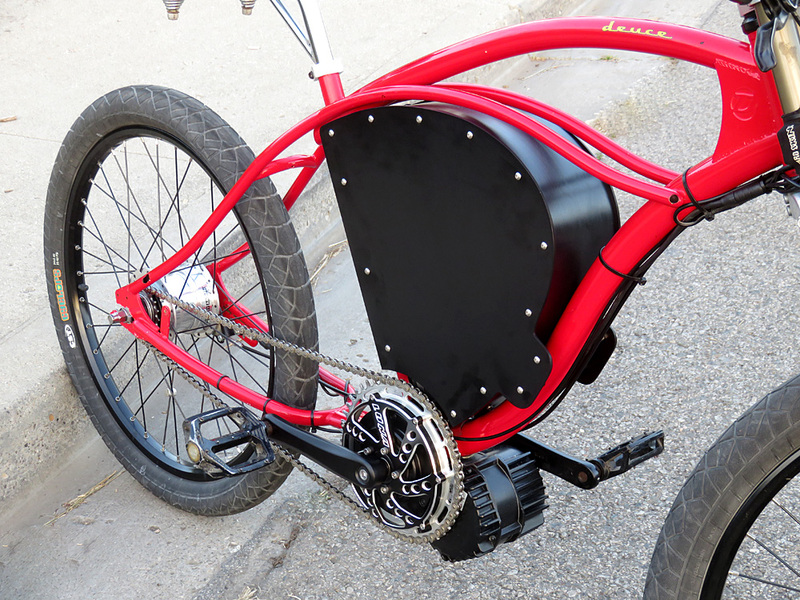 The Dyno Deuce is still being built – which is why you are seeing the zip-ties sticking out everywhere. 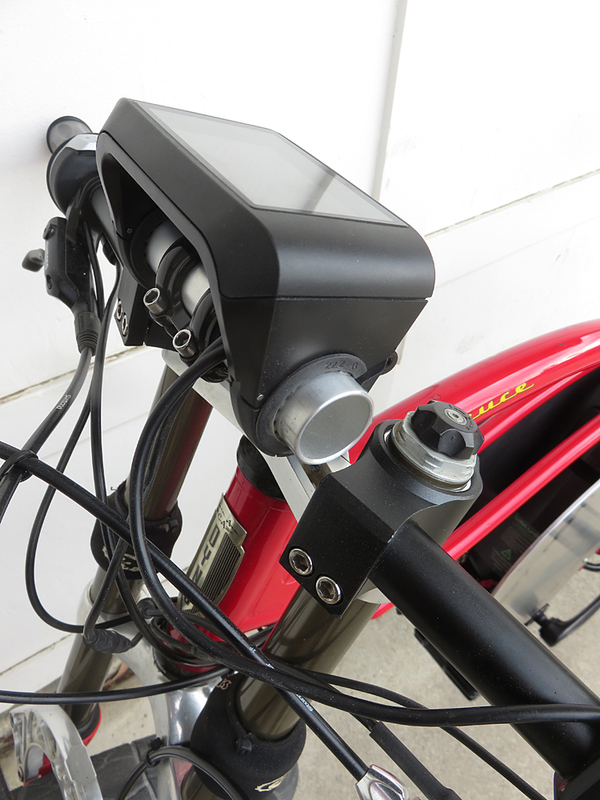 When completed the dashboard will be mounted on a special stem, and the battery will be hidden behind aluminum side plates. 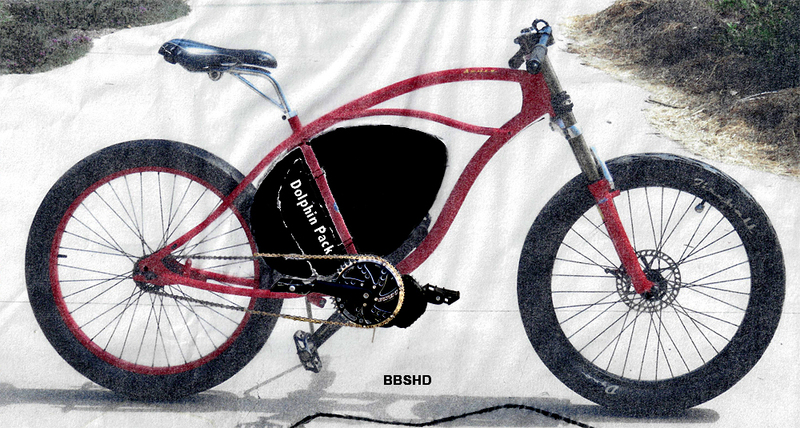 Click the Dyno Deuce link above to see a sketch of the original design concept. 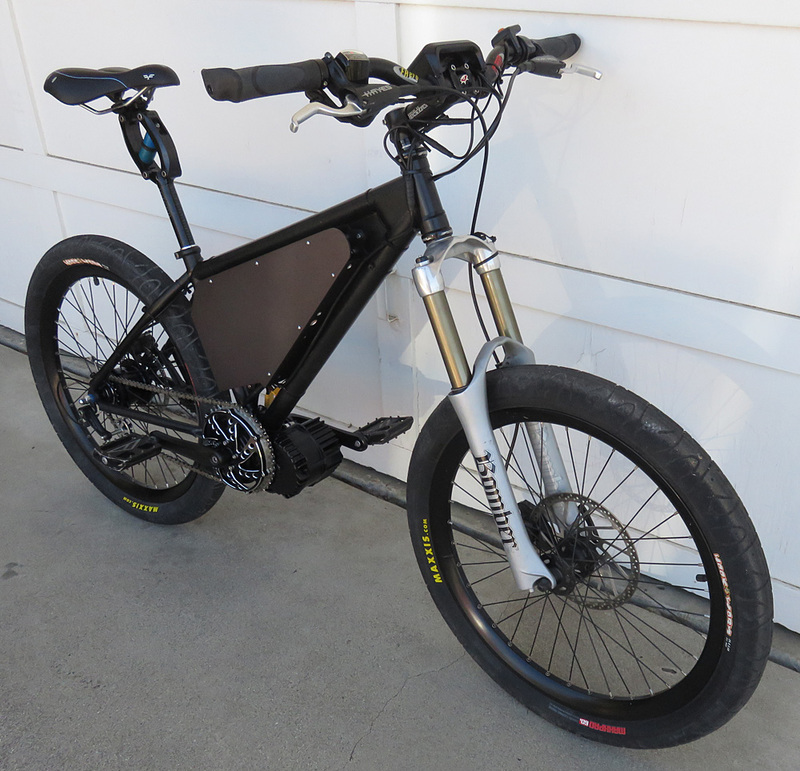 The eCortina V4 is a long time favorite which I will have a hard time letting go. The eCortina has been with me since 2009 and was my first eBike, although a completely different motor and battery system. 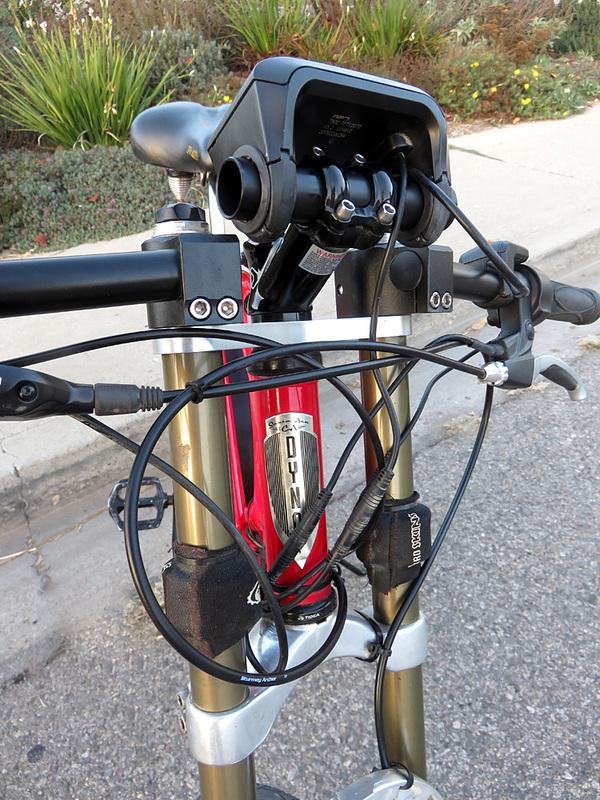 The V4 version is solid, stable, reliable and fast. 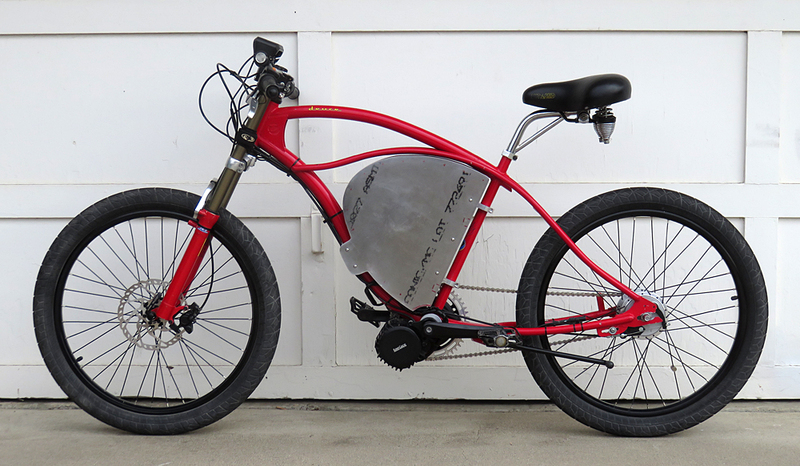 Not your grandfathers eBike for sure. Check it out here. 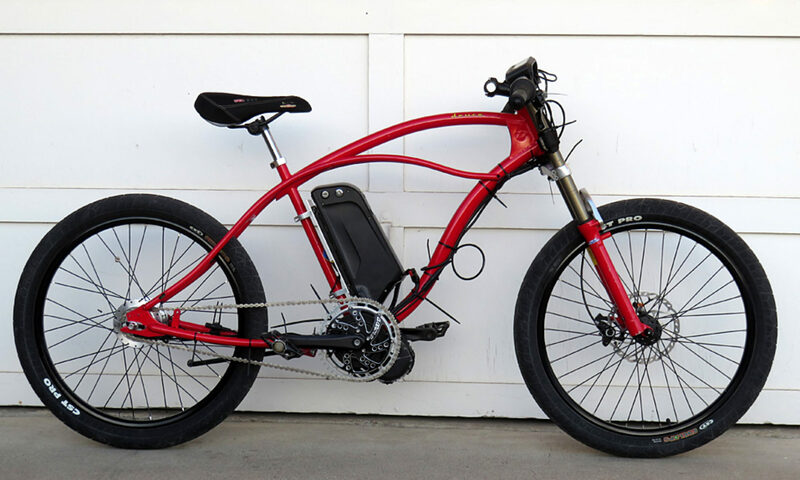 Roy has been designing and building electric bicycles since 2009 when Roy and a friend converted a motorcycle to electric and he designed and built his first eBike, the eCortina. 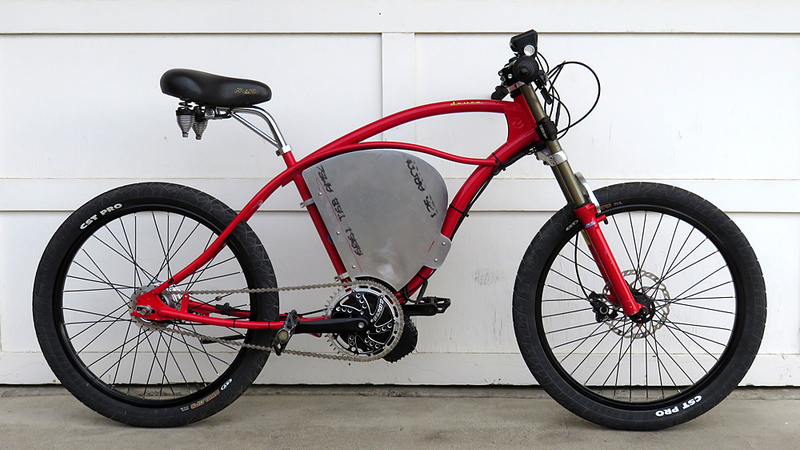 Since then Roy has evolved and refined the eCortina, and is currently working on several new electric motor/bike projects. 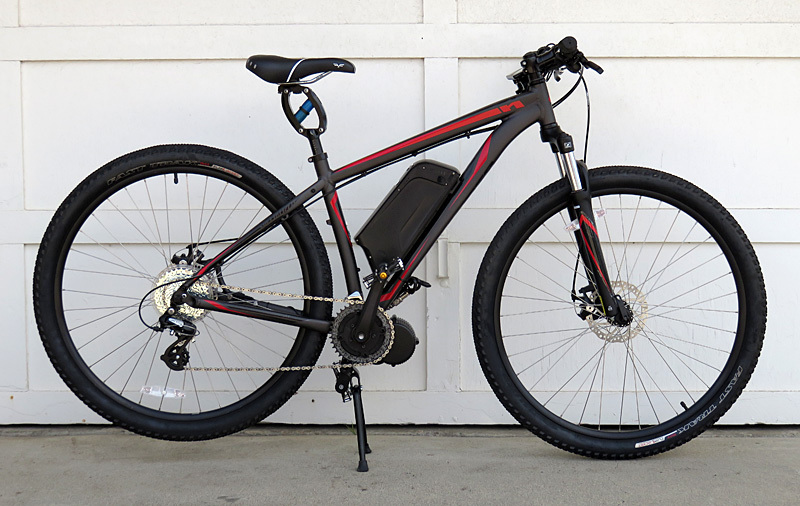 Roy is enthusiastic about electric bicycle technology and is pleased to bring you the Bafang BBS02, BBSHD, and ULTRA MOTOR Ebike Mid Drive electric motor conversion kits and state-of-the-art lithium batteries. 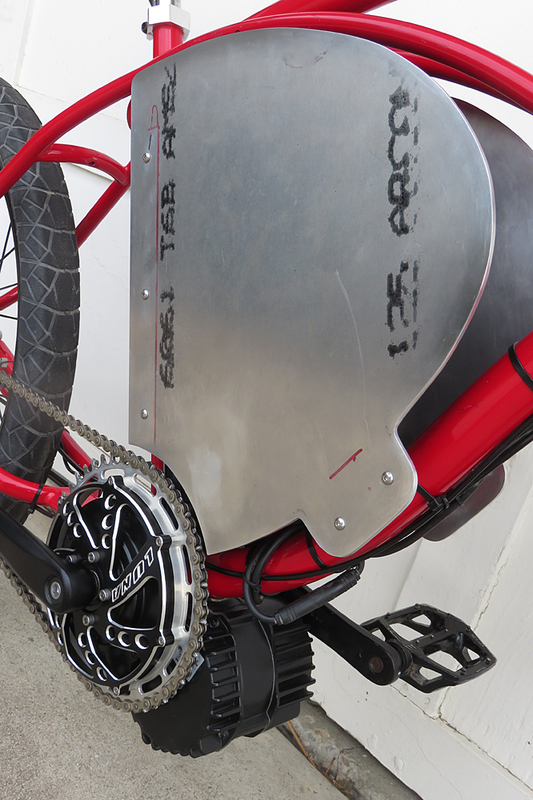 Roy has been a mechanic, photographer, jeweler, architect, design professional and Internet entrepreneur. 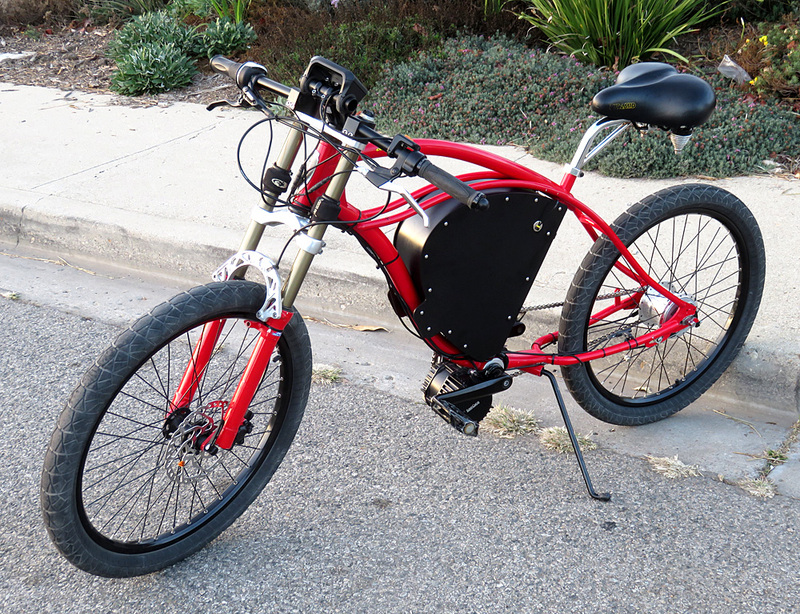 He loves working with his hands and building towards an electric bicycle filled world. 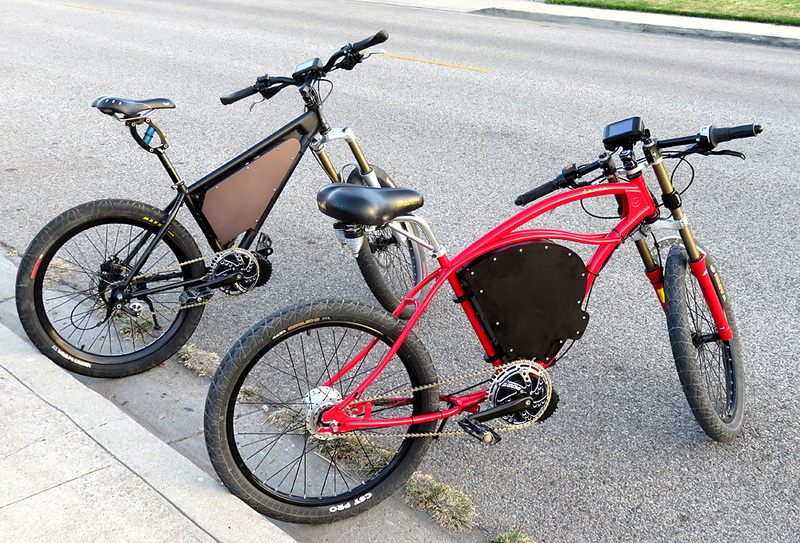 Oxnard eBikes is not a traditional storefront bike shop. 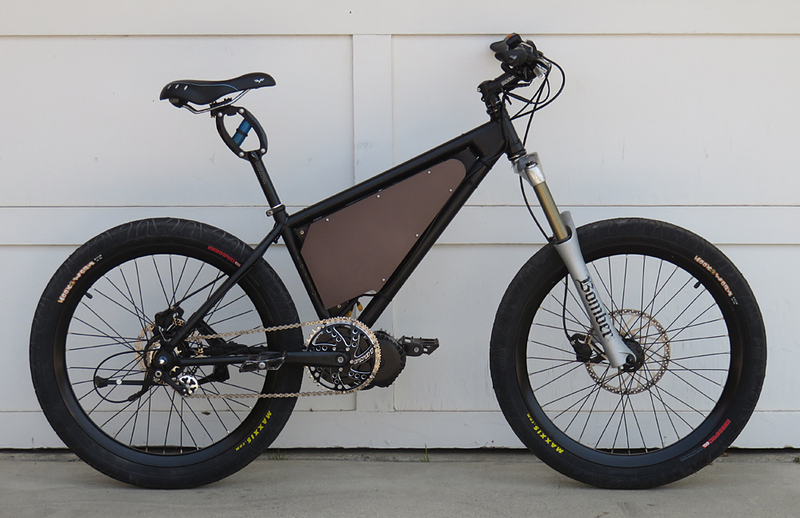 We work out of a private shop to build our unique mid-drive electric bikes, service your electric bicycle and create one of a kind high performance mid-drive electric bicycles. 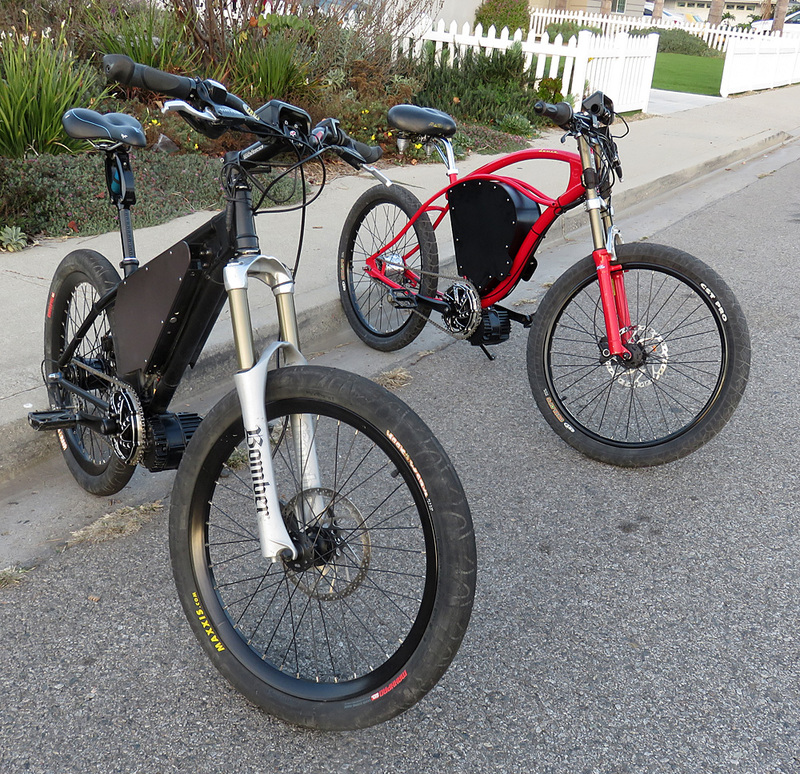 Oxnard eBikes sources products from USA distributors only. 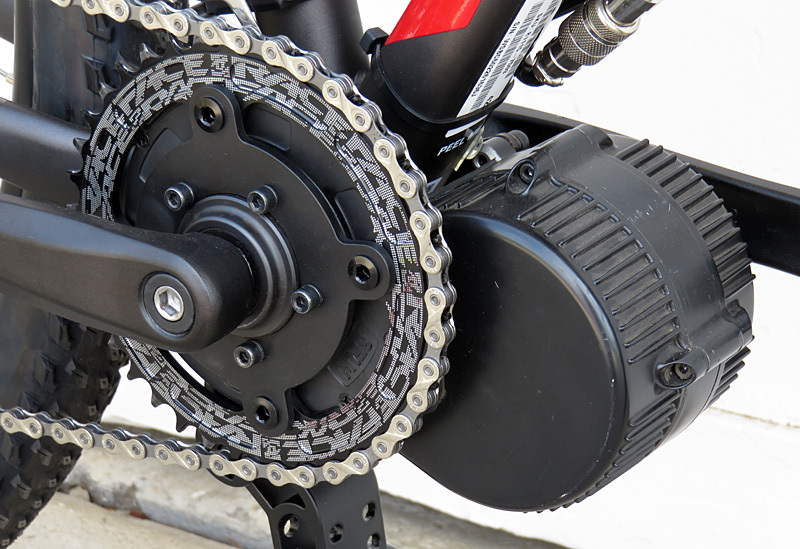 Our distributors offer parts, services, and warranties. I appreciate working with ethical businesses and dealers that stand behind their products. 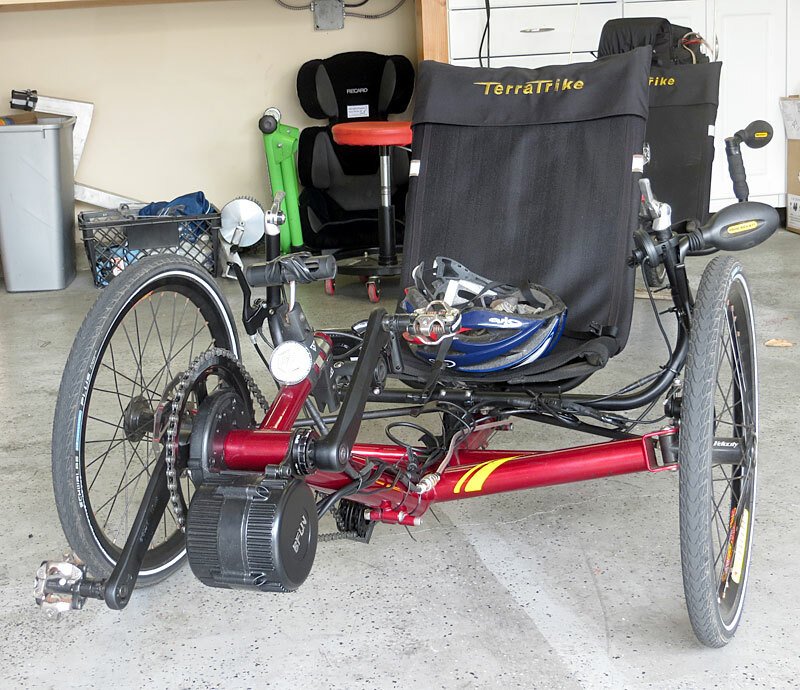 The motor conversion kits and batteries I sell may cost a bit more – but you have the assurance, and my good word, that I stand behind all my products and services. 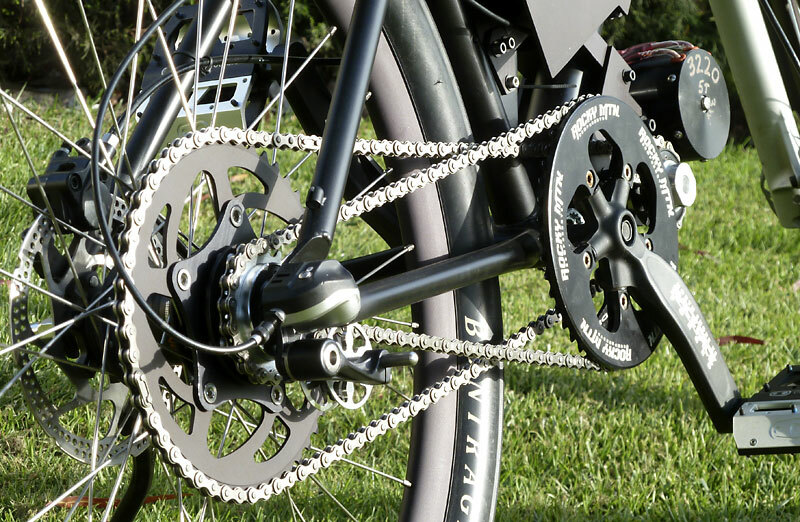 Our universal mid-drive BBSHD – BBS02 and Cyclone electric motor conversion system mounts to 90% of bicycles and trikes, and is installed in the bottom bracket shell. 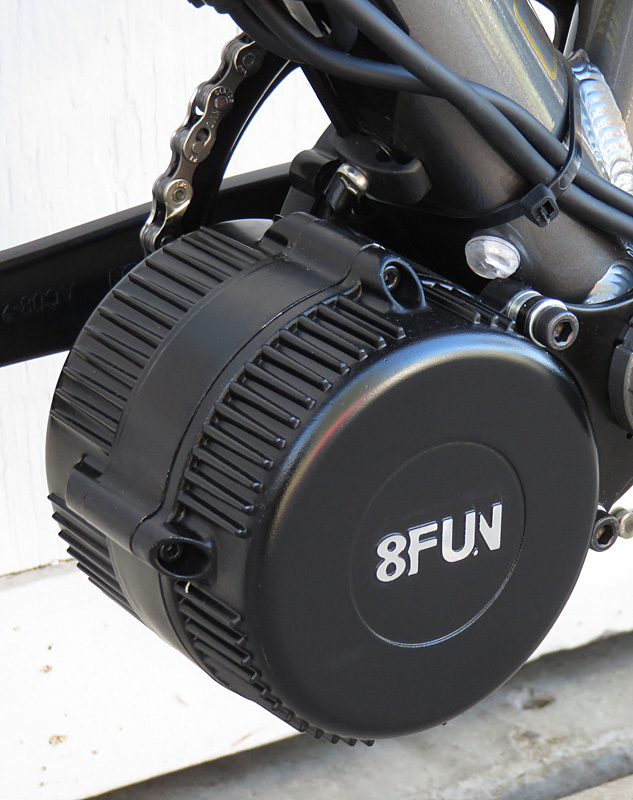 The motors are remarkably quiet, compact, lightweight, and powerful. 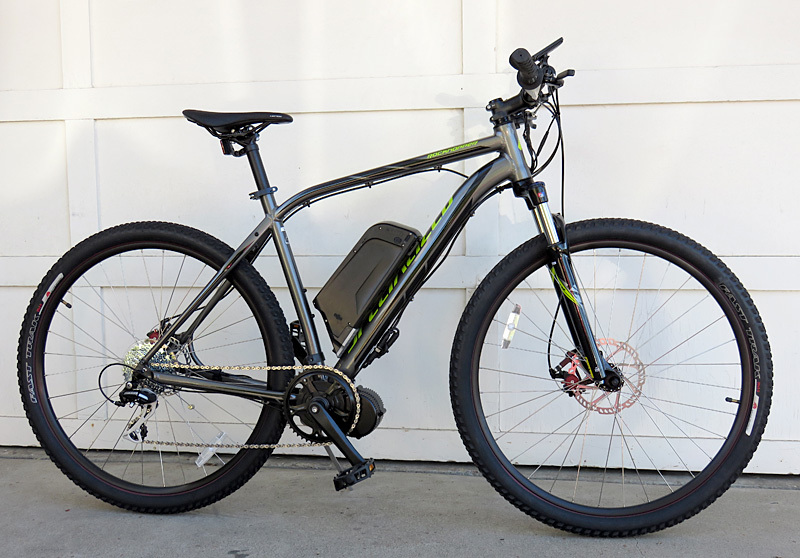 Our mid-drive electric motor conversion kits drive through your bikes gear system, thus giving the advantage of the full range of gearing from low (hill climbing) to high (getting there). 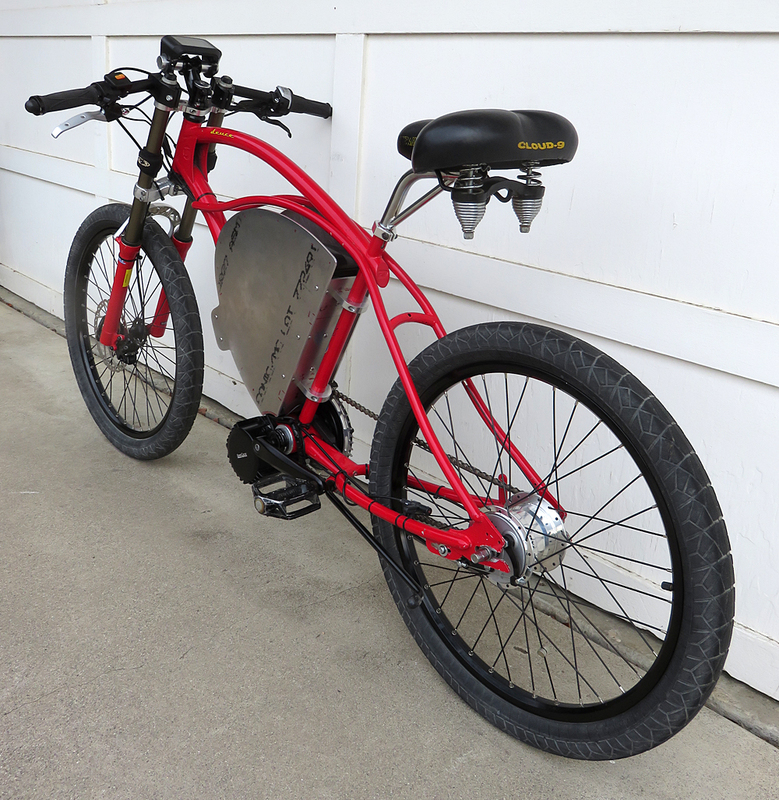 Our mid-drive electric motor conversion kits climb steep hills with ease. 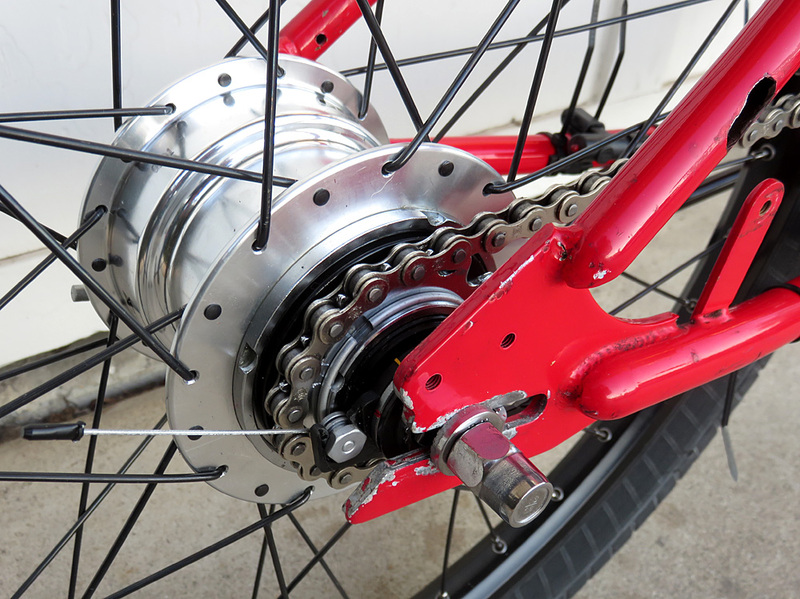 Motor mass is concentrated between the wheels and below the bottom bracket. 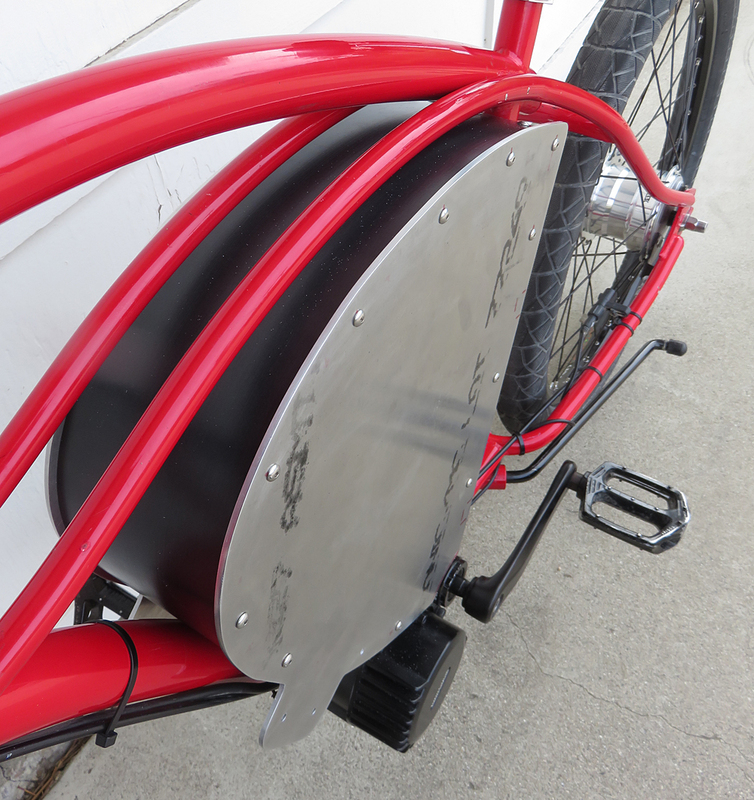 This is an ideal location for the motor and bicycles fitted with our conversion kits handle very well. 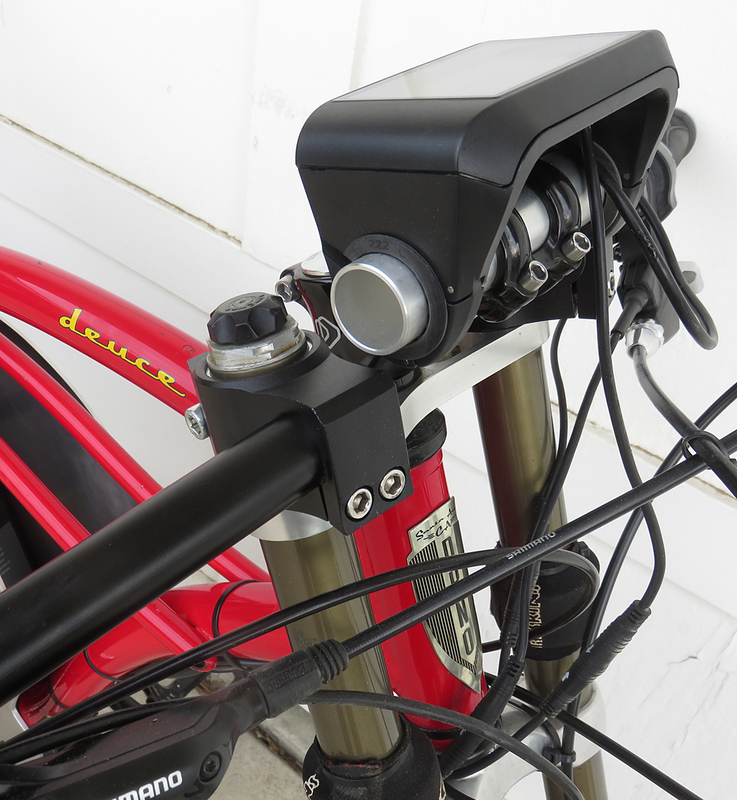 Brake levers have built-in switches to shut off power when the brakes are applied. 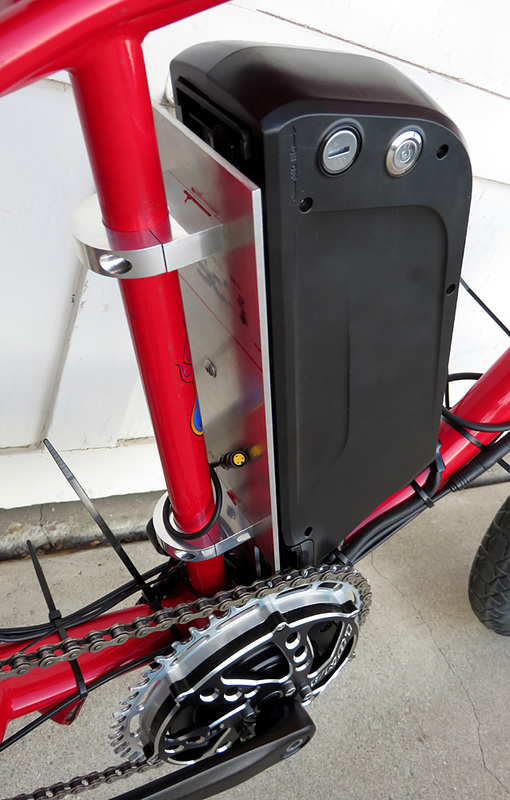 Our conversion kits have 5 (or 9 levels) of pedal assist, and the rider can easily adjust the assist level. 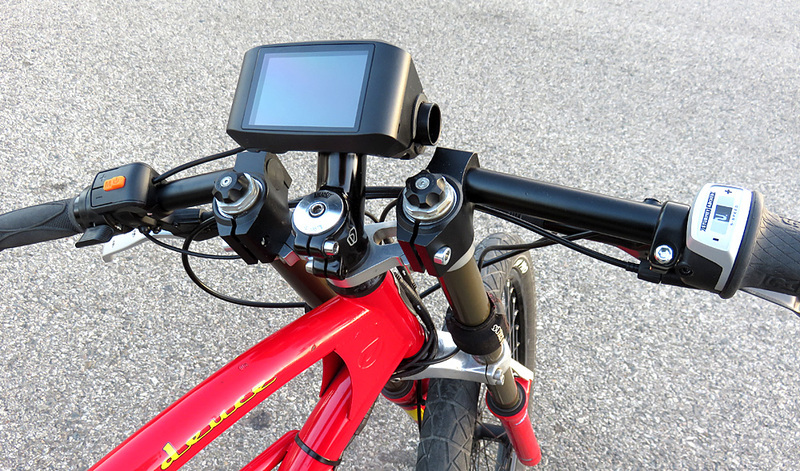 The pedal assist kicks in when the pedals are rotated, and a rider operated throttle will override the pedal assist when desired. 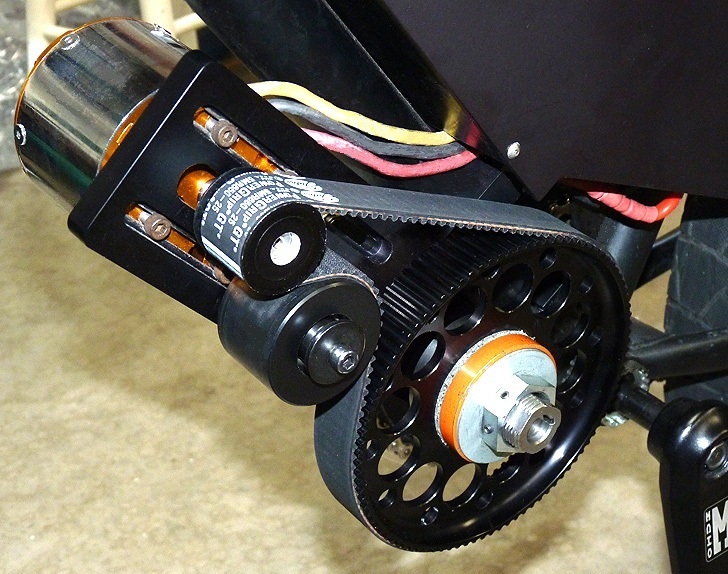 The controller is built into the motor unit and the combined weight is about 10 pounds depending on the particular kit and power option. 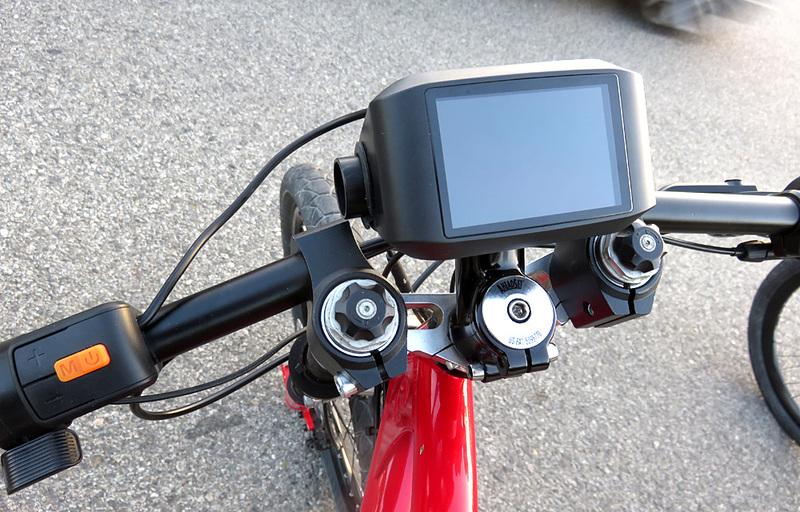 The integrated dashboard displays bicycle speed, battery condition, assist level, date and trip, total distance, and more. 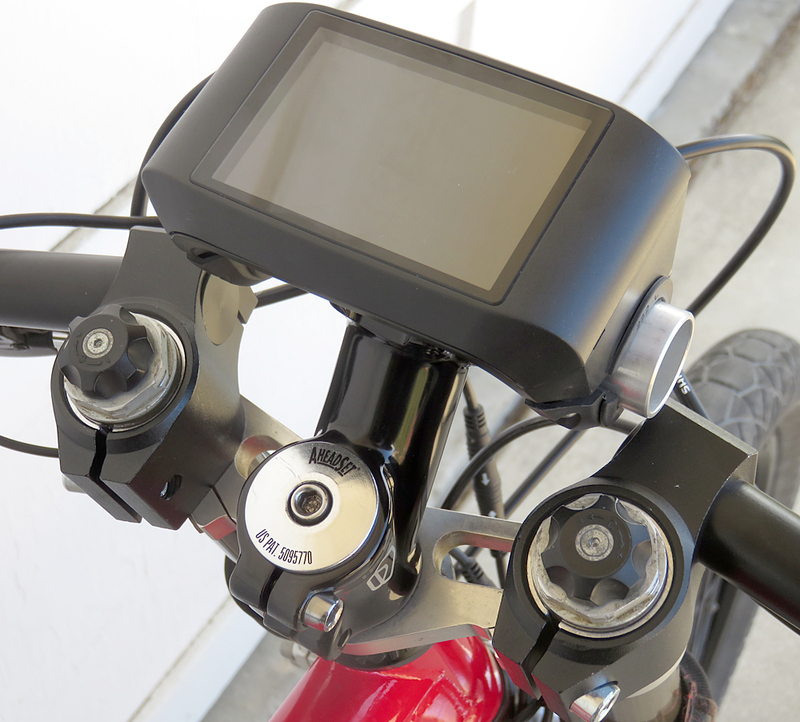 You have the choice of a right or left thumb throttle or a right side motorcycle type twist throttle.